The Controls industry is riddled with jargon, its a hybrid between the IT world, and various trades, mostly electrical and mechanical services. Many Building Management Systems Facts & Terms and acronyms are brand specific, which can make reading a little harder. This also makes the brand seem a little “special”, although many brands and vendors use the same device, from the same factory, they just re-brand it, and add a little of their own jargon to make it sound unique to their system, but it is exactly the same. Without a doubt this list is not exhaustive, in fact, its probably just the tip of the “Ice Berg”. Feel free to let us know if there is a term or acronym you want more information about or you have a term you think would be worth while adding to the list. There are many Building Management Systems acronyms to list, we included the ones we asked about the most. When we talk about Open protocol was are talking about the communications system which the controllers uses as a bus for inter communications. The BMS communications Protocols listed below are the market majority in Australia. The point of open protocol is to negate or reduce the single system vendor “captivity” from the 1970’s and 1980’s. The strategy of open protocol is to enable multiple vendors to provide product, maintenance and additions to a single BMS installed in a building or campus. The protocol would enable multiple vendors to bid on the same job, be the job scope in maintenance, upgrades or an extension project without the owner experiencing over pricing from a single vendor system or be left with a system post warranty that is full of integration issues. This beckons the question: What is a “closed” protocol System? Closed protocol systems are generally refereed to as proprietary systems. This means the system’s technology is owned by an entity and is not for use by other vendors. In real world terms, this means, the system will only work with its own products, the owner of the bms must by from that Original equipment manufacturer (O.E.M) company to extended or repair the system. Consequently,if parts, firmware, or software is required the owner of the bms must return to the O.E.M for these items. “Single Vendor Technology” is another term frequently used. Open Platform is essentially the term used to define the inter-operability of the device at the top of the BMS communications tree. Think of it as a “hub” where the spokes are the Internet, and other communications branches, such as Lon Works, BACnet, proprietary, and more (lots more) the Point of the “open” is that via this platform, data can be exchanged between these “spokes” without the need for “gateways” or other unreliable conversions. The answer 50 controllers with 1000 hardware points and 1000 software points” or what is the IO of controller X, 10 digital inputs and 8 digital outputs” might be the response. The “head end” of a BMS is the human machine interface (HMI); often a specific Computer with the graphics, alarms, and BMS network for the operator (human) to interpret and monitor the system. Access via a web portal or IP address is more the norm these days, but the term is also a reference to the Graphic User interface (GUI) which often exists as a web page or on the BMS computer. HLI is an acronym for High Level Interface, this is a device which is installed by the O.E.M (original equipment Manufacture) in to an item equipment which allows monitoring and control of said equipment directly via the BMS communications network. For example, a chiller or a generator. The item has a BACnet or Lon work HLI installed. the device when connected and configured into the network appears on the network like a typical controller. Via programming or “mapping” the parameters of the HLI can be introduced into the BMS programming directly. A HLI is incredibly efficient as it uses data, the HLI allows alarms and programming to be configured directly by as an O.E.M device in the network, it provide real time monitoring and control parameters. Low level interface uses dry contacts for monitoring or other electrical parameters such as volts and /or current. For example, if a device is operating a relay wired in parallel with the device operates, the BMS sees the contacts closure and logs or monitors the point. the point has changed from a “0” of off to a “1” or on when the contacts on the relay close. As the name implies, it is a control system, or part thereof, which uses air. Typically a system will run on variances of air pressure from 0 to 20 PSI. Johnson Controls and Honeywell installed many systems and were the leaders back in the 1970’s and early 80’s. Pneumatic systems have many internal mechanically driven parts with many fine and delicate components, the result is a lower cost installation but pneumatic systems are prone to inaccuracy over the long term. There are opportunities to convert pneumatic signals to electrical signal and back again to convert a system without the complete upgrade. These devices are referred to as “P to E” or “E to P”. the “E” representing Electrical. AFSS Annual Budget Blow Out AFSS Annual Budget Blow Out Fire Systems Maintenance Commercial & Residential Buildings Attention Property Manager’s, Facility Manager’s and Bui ..
Building Audits – Essential and Non-Essential Services Building Audits – Essential and Non-Essential Services, in particular, the services which support the building’s functions, offers the opportunity t ..
Sustainability with Automation How Can we Improve Automated Sustainability with Building Management Systems (BMS) To develop and expand your BMS for greater automated sustainability should b ..
Legal Obligations Fixed Plant Management – Legal Obligations Understanding you legal obligations for Council and Government compliance Just a few questions for your thought ..
Air Conditioning Services in Commercial Buildings Commercial Property Air Conditioning, HVAC, Mechanical Services Do you have an Air Conditioning issue? Air conditioning is one of the greatest issues in buildin .. Generator Test Essential Services Essential Services Generator Test Regular generator testing is a critical part of any essential services management. Typically the Generator .. Methodology Statement What is a Methodology Statement The steps the task or scope of works requires from start of finish. Simple enough right! The exercise is not a political or docu .. Compliance Water Issues Ensuring Compliant water storage methods in Commercial buildings The Responsibility At some point in time, it will occur that an owner/occupier or manager will ..
Abatement versus Incentive Abatement versus Incentive | What Do These Terms Actually Mean Abatement versus Incentive: The Lease agreement or contract between the Landlord (lessor) and the .. The Commercial Business Case Your Property Manager or Client Wants a “Business Case”. a justification for a proposed project or undertaking on the basis of its expected commerci ..
Water Pumps in Commercial Buildings Typical Water pumps which serve our buildings It is surprising exactly how many water pumps there in a building, often with separate plumbing circuits and often ..
Why Have an Asset Register Asset Register importance! Backstory We found ourselves in an a situation, which I thought, had an unfortunate outcome for an employee of one of our competitors .. Facility Performance in Commercial What is Facility Performance: When we talk about Facility Performance (or Building Performance) we refer to costs versus income, that is the building operations ..
Commercial Furniture Fail The false economies if reusing commercial furniture in an office space The Commercial Furniture Fail .We look at a few different scenarios and none of them prov ..
More Commercial Tenancy Fit Out Faux Pas More Commercial Tenancy Fit Out Faux Pas – The Faux Pas of Fit series Continues; In out last post project management fit out faux pas we looked at Noise, ..
A Few Questions For The Commercial Building Manager Commercial building Manager Questions you might consider asking You’re considering a move to new commercial office building, everything ticks the box, but .. Fit Out Faux Pas What Happens Behind the Scenes During a Commercial Fit Out Sometimes a project is completed seamlessly, without fuss, in a timely manner, and without dispute. S .. Single Source Supplier Facilities Management – Single Source Supplier Facility Services Management is a diverse and critical operations function, which effects all stakeholders, ..
Why Upgrade a perfectly good BMS “If it ain’t broke, don’t fix it” Why should a Landlord Upgrade building management system technology in their commercial Building? Inst .. Maintenance Defined Which Maintenance means What Action: A definition of Maintenance We’re writing about this because it comes up in conversation with clients and vendors a l ..
Why upgrade your Mechanical Services Switchboard Switchboard Refurbishments Upgrade Mechanical Services Switchboard | Your Existing Switchboard can be saved………well maybe. Why Refurbish your S .. Climate Bonds Climate Bonds – Investment Climate Bonds: Mobilizing debt capital markets for climate change solutions “Bonds” are a financial investment inst .. Elevator Etiquette A few Helpful Hints for correct Elevator Etiquette Many of us use elevators every day from the city to the suburbs, in commercial office buildings, to apartment .. Vendor Management in Operations Vendor Management Save Money, get it Right, With Experienced Diligent Managers What is Vendor Management? Contractor co-ordination and supervision Basic tasks a ..
Building Technology and Sustainability Building Technology Sustainability Building Technology Sustainability: The opportunities to implement Technology in Facilities can often be discovered and impro ..
Outsourcing Facility Management-“To be or Not to Be” Outsourcing your Facility Management Services Outsourcing the Facility Management for some is an easy and logical decision, similar to outsourcing the maintenan ..
Time Management, a Case For Facility Management Software: Time Management Software Which team do you subscribe to? The affirmative, that is Time Management or Facility Management Software Helps you to be Organized OR t ..
What is Single Vendor Captivity? Understanding Single vendor Captivity Definition “Single Vendor captivity” crystallizes when a system or major asset can only be repaired and mainta ..
Do We Need Facility Management Software? Time Management, a Case for Facility Management Software: Yes, Facility Management Software Helps to be Organized OR No, Software is a Complete Waste of Money. ..
Tenant’s Office Cleaning – Who should we use Tenant Lease In the larger commercial buildings and retail centers a tenant might find a condition in their lease instructing them to use the base building clea .. The First Thing In Building Management What is the Number One Task for any Building Manager? Risk Management. The first thing in building management, the number one priority, in our view, for the bui .. Putting off that Corrective Maintenance Repair! What is the Real Cost of “putting off” a Corrective Maintenance Repair False economies are found everywhere in building maintenance and compliance, ..
Pest Control Pigeons Pest Control Pigeons Are Pigeons leaving unsightly droppings on your building and car park pipes, ledges, and facades? Have the pigeons damaged your property? I ..
Base Building Nabers versus the Tenant Fit Out. Is the Landlord Always Right? The Landlord is keen to protect his Nabers investment in the assessment rating of their building, and so they should; but at what ..
One Operations Strategy in Commercial Buildings One strategy which will make your day better in operations management Operations Strategy for Commercial Buildings Engaging vendors, suppliers and contractors w .. Ten reasons to implement an Facility Management Works system Facility Management Software Benefits include: Mitigating Risk Automated Planned maintenance Schedules Contractor Management WH & S Management Simplify Day ..
Asset Register Must Haves! Asset Register Core Information Implementing and maintaining an asset register, which serves to document the building’s service’s and fixed assets, ..
Crisis Management Crisis Management We all have different ideas of what a crisis within your facility really is, and we all have different priorities based upon the commercial la ..
Outsourcing Property Services Outsourcing Property Services to improve Building performance and Control Risk Why Outsource when we can do it ourselves Outsourcing is not about whether you ca .. Maintenance Strategy | Which Type Of Maintenance Reactive maintenance/Run to Fail or preventative maintenance, which one and why? : Maintenance Strategy, which Type of Maintenance is the most suitable, and stra .. The One Question to Ask Your Facility Manager: The One Question to Ask Your Facility Manager: Do you keep an Asset register for the building? Creating and Maintaining an Asset register is not always on the p ..
Fire Sprinkler System – Looking From the Inside Out Fire Sprinkler System – Looking From the Inside Out Do you love our picture, it has a certain volcanic, interplanetary look to it I think. It is, in fact, ..
Reactive Maintenance Risk Reactive Maintenance Risk – DIY Facility Management. A huge financial risk when it goes wrong…and it did! “A privileged observation” No ..
Good Fast Cheap Property Management Good, Fast, Cheap! Contractor Management “101” “Good, Fast, Cheap, choose any two!” Its an old “adage” i ..
Why install a Variable Speed Drive Small Project Management Why install a variable speed drive? 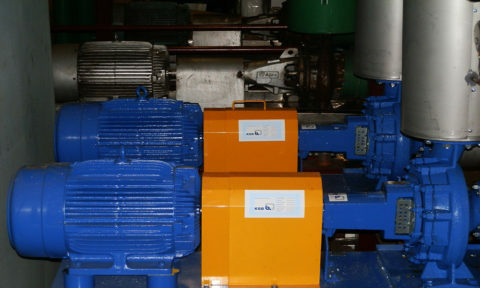 “Several contractors have suggested we install a VSD in our pump and fan motors, Why”. What is a VS ..
Outsourcing Facility Management Outsourcing Facility Management There are “Pro’s and Con’s” with any business strategy, Facility Management outsourcing is an important ..
Outsourcing Maintenance Versus DIY Outsourcing Maintenance – DIY: (published in “hotel engineer”) Outsourcing Maintenance: The conversation went a little like this: “Who’s idea .. Seven Reasons For HVAC Audit HVAC Mechanical Services Audit Any audit is about saving money or understanding where money is being spent to reduce further loss; the HVAC mechanical services .. Phone Call for Maintenance, What Next? Incoming Urgent Phone Call For Maintenance or Repair. Incoming Urgent Phone call for maintenance or repair, to panic or not to panic. In this article we have tr ..
Energy Bill Audit Energy Bills Audit WIIFM (what’s in it for me) What’s this about? We must admit, the title of this post, Energy Bill Audit, sounds totally boring, but, this pos .. Measurement And Verification Measurement and Verification – DIY Systems Integration, Asset register, Building Management System, Energy Management System, BIM, Measurement In a previo ..
Energy Conservation Versus Profit Energy Conservation versus Profit? A privileged observation Energy Conservation can be at odds with Profit and overall performance of the building, so which one .. Eliminate False Economies in Corrective Maintenance How to Reduce or Eliminate False Economies in Corrective Maintenance in Commercial Property. All of these events creating false economies in corrective maintena ..
Data Center Energy Wasted Data Center did not have an Energy Management System So we “Winged” it and saved $3000 a month “Energy Management by Observation” Data C .. Conflict of Interest in Building Management and Construction Is there a conflict of Interest? Should you engage the construction company Should you engage the building company, which built your new apartment building, to ..
Work Orders 101 Work Orders – 101 Devil is in the Detail. Work orders are the number 1 item for “move it over there, follow up tomorrow, it 4:45pm, it can wait, …blah blah blah ..
Who Is The Building Caretaker? Building Management Who is the Building Caretaker? “Property Manager, Building Manager, Strata Manager, Somebody tell me, Who is the Building Caretaker?”. Histo ..
Contract Management Fail A Contract Management Fail An outline of this privileged observation: Contract Management: In a nut shell, a HVAC contractor is a given a task to replace a Fan ..
Should We Terminate This Vendor We Found ourselves in a situation where we had to terminate a vendor | What are your thoughts? Let us set the Scene. Residential apartment block, common basemen ..
Sub Metering Data Energy and Resource Sub-Metering? Facility Managers can no longer just wait for the resource bills to pass over their desk and sign them off. Facility owners ar ..
Outsource the House Keeping Outsourcing the House Keeping for the Hotel – “What a Stupid Idea! !” The conversation went a little like this: “Who’s idea was that, no one does that!”, “what a ..
Small Project Management Scope Small Project Management What is the Scope of works? “It’s just a little Project, we’re getting a few quotes”. Let’s set the scene, You are a member of the Exec ..
False Economies in Building Operations False Economies in Building Operations Investigating and eliminating False economies has the potential to save some serious money for both the Facility Manager ..
Energy Management Strategic Plan Energy Management and a strategic Plan for Commercial Buildings The Simplest Strategic Energy Plan is sometimes the best, results are results! The Project saved ..
Outsourcing Facility Services Outsourcing Facility Services Facility Services delivery includes more than just attending site and organizing corrective maintenance, it encompasses many solid ..
Contract Management Clauses Contract Management Clauses Contract Management gone wrong: There many strategies involved in contract management which pursue outcomes aligned with goals and o ..
Bank Guarantee Property Management Why a Bank Guarantee? “The Commercial Real Estate Agent has asked us for a Bank Guarantee, Why?”. What is a Bank Guarantee, Simply put, it i ..
Are You Guilty of Management by Crisis Negating the “Management by Crisis” Scenario! Experienced Managers Know this Expression. Typically, a result of lack of resources, every industry manager has ha ..
Commercial Property Types Commercial Real Estate Types Offices, Retail, and Industrial There are three main types of commercial properties which attract a tenant and consequently a yield ..
Changing building Culture through social Media Can you use Social media in Building Management? Whether Social Media is your “thing”; it is here to stay Social Media is definitely not my thing, w ..
Building Managers: a Valuable Resource Building Managers, and sub-contractors; an under-used resource? In our efforts to reduce costs, increase sustainability and improve the economics of operations ..
Building Management Change Building Management vendor Change: Should you change your building management vendor? Why should you change? What are the benefits and liabilities? Will it help ..
Building Intelligence and Energy Management Building Intelligence and Energy Management What is Building Intelligence and Energy Management? A Quick Definition Lets begin with a quick definition, there ar ..
Unwrap Single Vendor Captivity Frustration! The greatest industry challenge we regularly witness is the frustrated client whom wants to use another a vendor and feels trapped with the vendor ..
Energy Return On Investment Return on Energy Management Investment Energy Management Metering. Energy management investment is the application of energy metering your building’s perf ..
Energy Trend Logging Trend Logging Energy Data Trend Logging in the Building Management System Trend Logging data within the Building Management System can be one of the most produc ..